March 2017 of the British Magazine, Octane. 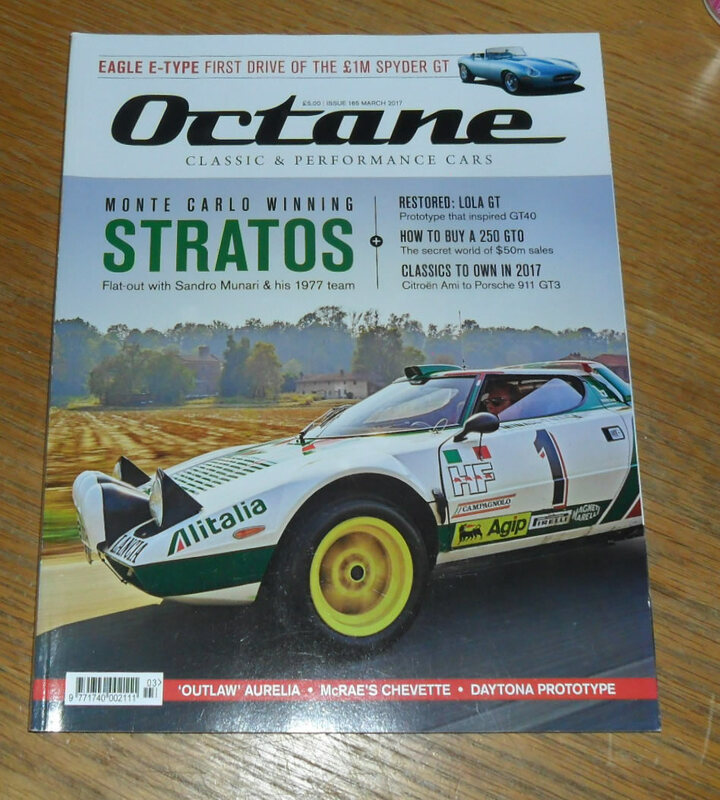 Each issue has a variety of features, car road tests and articles about high performance, collectable, rare, old, classic and modern collectors cars. 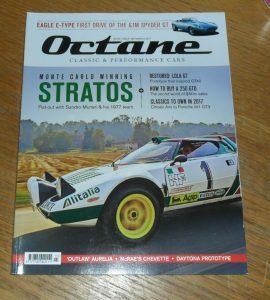 The cover feature of this issue is the Lancia Stratos Rally car.